the nokia asha 305 is not a good phone since it does not support various applications like whatsup among other useful applications. update the software of the phone so as to be able to access various applications. failure to it, the phone will be like the normal china mobile. 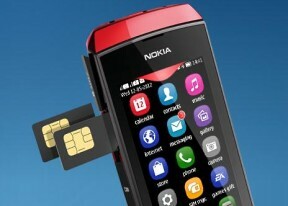 Nokia asha 305 this mobile support for 3G? i have been using this phone from two month.its looking is very smart . but performance is just like china phone.video is not full screen.many applications do not support.it is not so smart as i thought. I purchaged nokia 305 in december 2012 and the handset occure disturbing in display and finally switched off. I went in service centre at jirhat assam, they told that the mobile has major problem, the set has to be sent to new delhi for repair it will take 15-20 days time. Now i am waiting hopefully. Does Asha 305 support Whatsapp? This phone can play YouTube videos in the formats supported by Asha 305. Others will need to download first. Today I contacted Nokia and they said me so.